Simalube by Simatec. 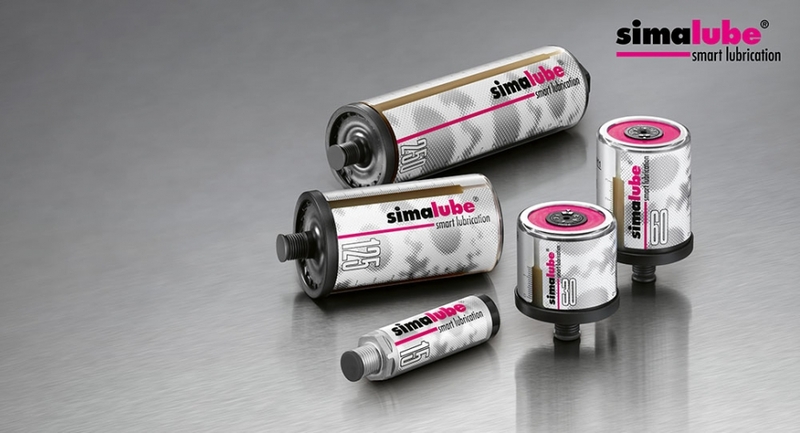 MotionSource is proudly the exclusive industrial lubrication distributor for simatec’s simalube® line of single-point automatic lubricators. Call 888-963-MOTO (888-963-6686) or email us a quote request at sales@motionsource1.com. Sold millions of times and suitable for any single-point lubricating task with grease or oil. 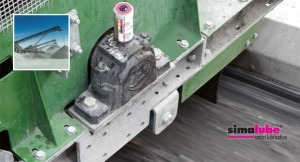 The automatic lubricator simalube offers five different sizes. All possible kinds of lubricating points with lubricant. 24 hours, day in, day out. Roller bearings which are not lubricated sufficiently or wrongly, drop out long before they have reached their expected product life. simalube lubricators guarantee a consistent supply of lubricant in the pre-adjusted proportioning. Shutdown times are decreased and costs in comparison to time-consuming manual lubrication are clearly reduced. Within seconds it’s fixed to the lubricating point. simalube is powered by a gas producing dry cell. The gas producing dry cell builds behind the piston in the lubricator, which dispenses the lubricant automatically and evenly in the lubrication point. The amount of lubricant can be steplessly adjusted by means of a simple Allen key. And with an official simatec iOS and Android calculator app, the guess work is taken out of the optimal settings for your specific piece of equipment. Get the free app or use the online version here.